Many people running radio stations think their biggest legal danger comes from journalists, and what they might put into a news bulletin. 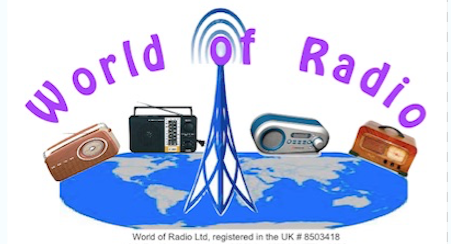 The reality is, however that it is their presenters and DJs who are the biggest potential danger to the station - they are the ones more likely to get a radio station into trouble. “At least journalists usually have some legal training in college and read off pre-prepared scripts. 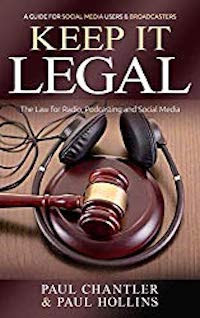 However presenters ad lib their links and are untrained in media law," says Paul Chantler. "It is no coincidence that the two biggest legal catastrophes in commercial radio in the last 20 years were caused by presenters rather than journalists. Paul Chantler has worked as a journalist, presenter, producer and PD in British radio for over 30 years. His co-author, Paul Hollins, who currently presents on Smooth Radio, has worked on stations all over the UK including Key 103, BRMB, Capital London andHeart London. This is an easy-to-understand guide to the laws of defamation and contempt for radio broadcasters, podcasters and social media users. It is illustrated with lots of real-life examples of when things have gone wrong and what to do to ensure you... keep it legal. At £ 9.99 it is FAR cheaper than a lwyer, and way cheaper than the cost of going to court.